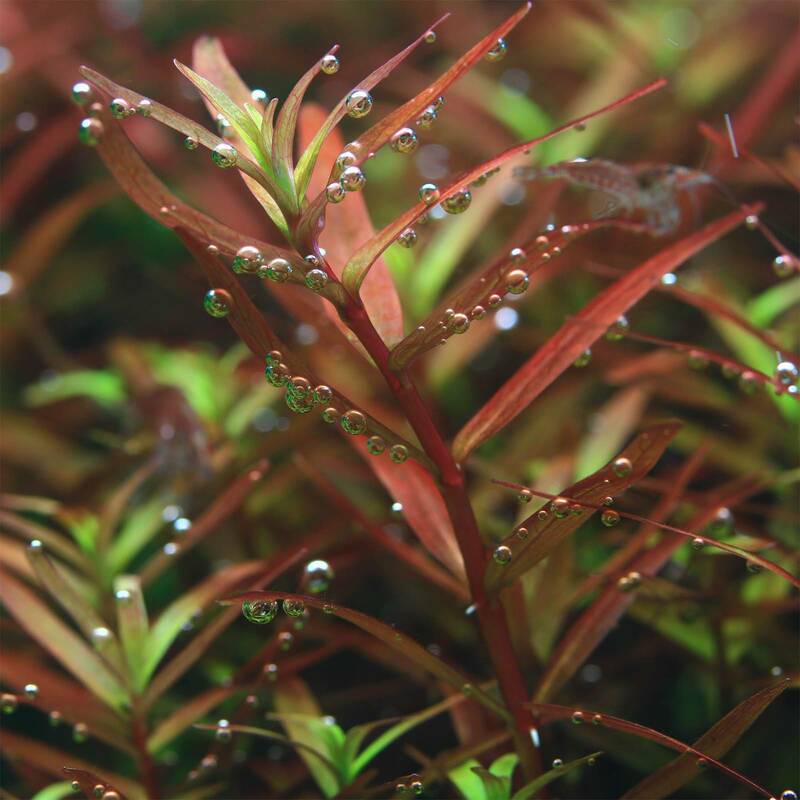 In this article, we have explained how you best prepare your aquatic plants to give them an ideal start in an aquarium. Now we want to talk about planting. 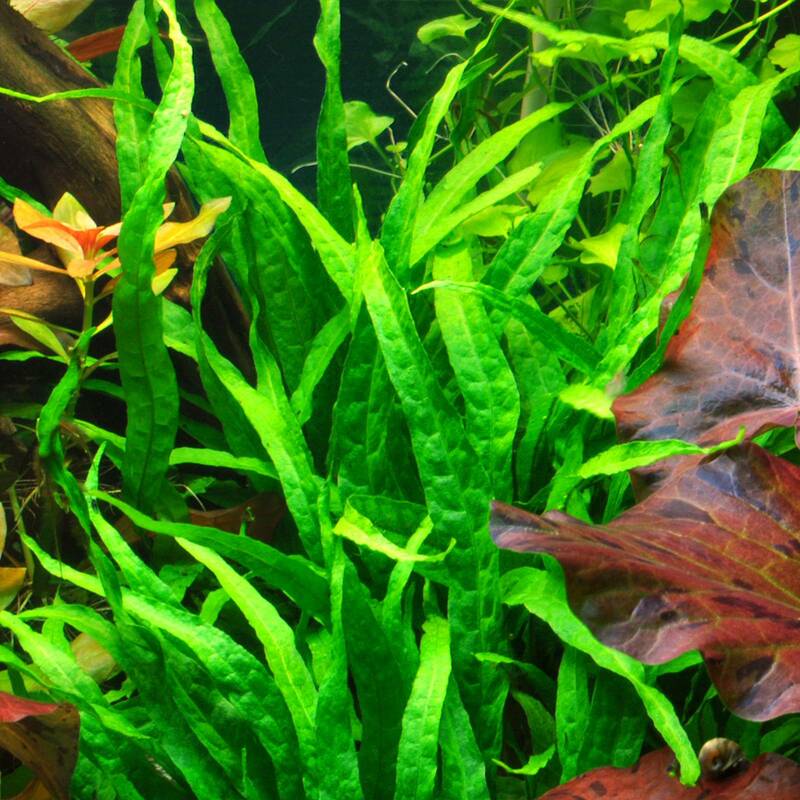 There are different techniques, always depending on the kind of plants you have. Most plants belonging in this group are so-called epiphytes. 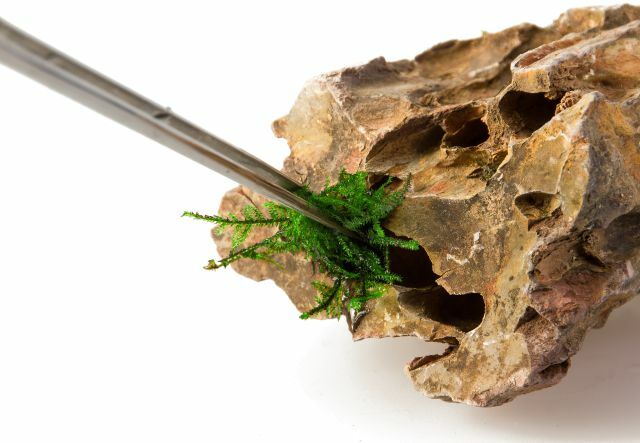 This means that they usually grow attached to decoration like rocks or pieces of driftwood, on which they are fixed with the help of glue or thread. 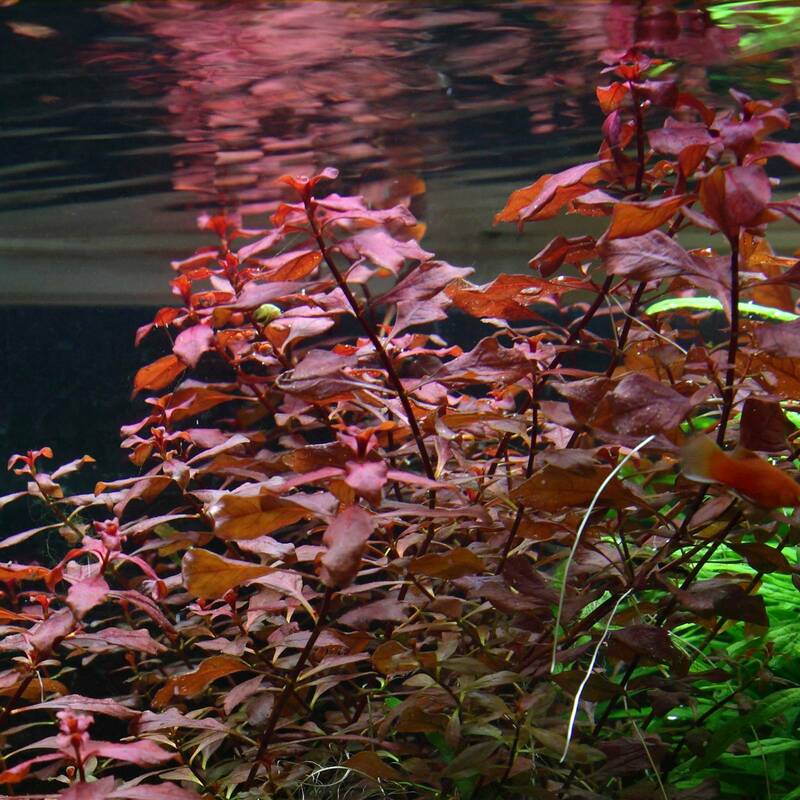 Sometimes it is sufficient to stick these plants in small gaps in the decoration, where they will take hold all by themselves. 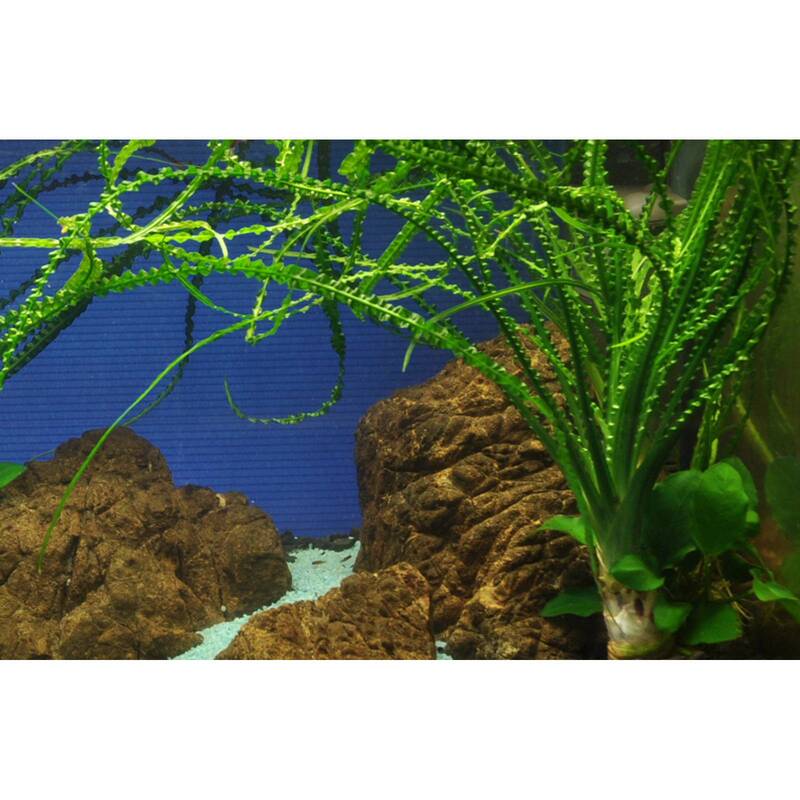 After some time, these plants form new anchoring roots and take a hold on the substrate they grow on. 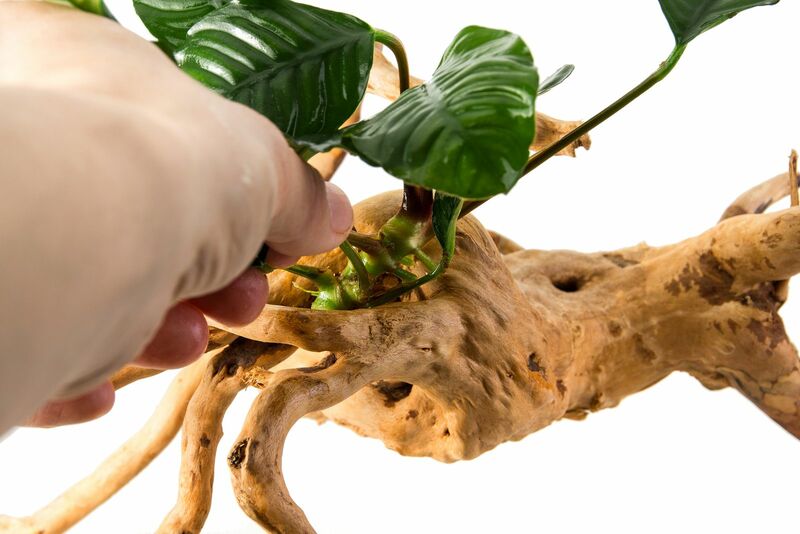 Try to avoid planting epiphytic plants in the substrate the classic way, and if you absolutely need to do this, make sure the rhizome is not covered by the substrate. Otherwise it is prone to rot away. 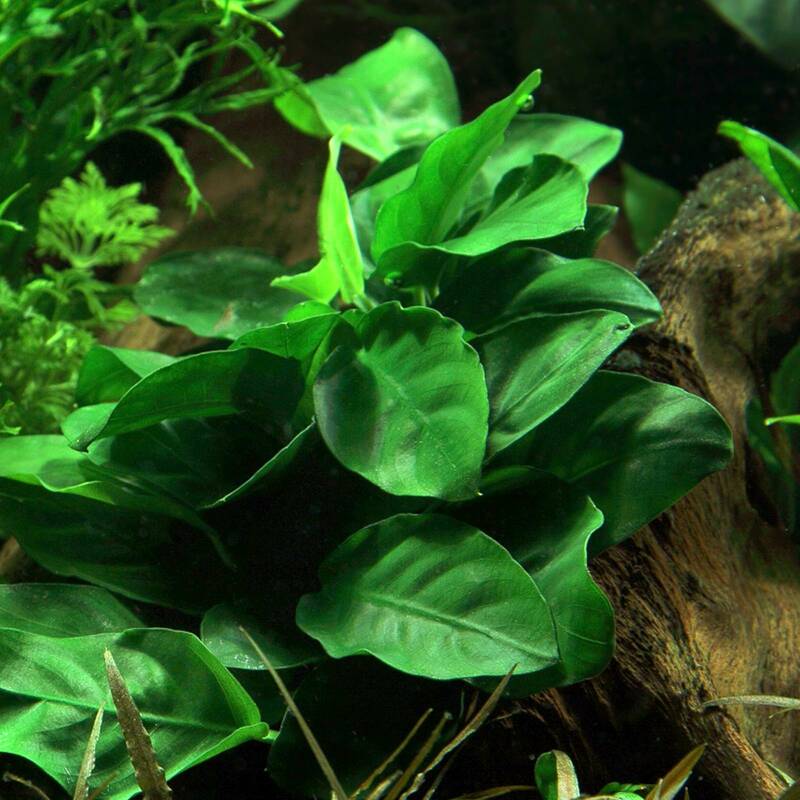 Stem plants are just planted in the substrate. For doing so, a well-sized pair of tweezers for planting is quite helpful. 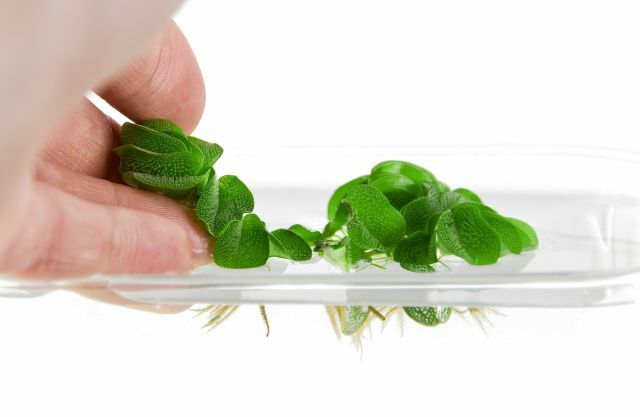 With the tweezers, you can grab a portion of several stems and insert them into the substrate. 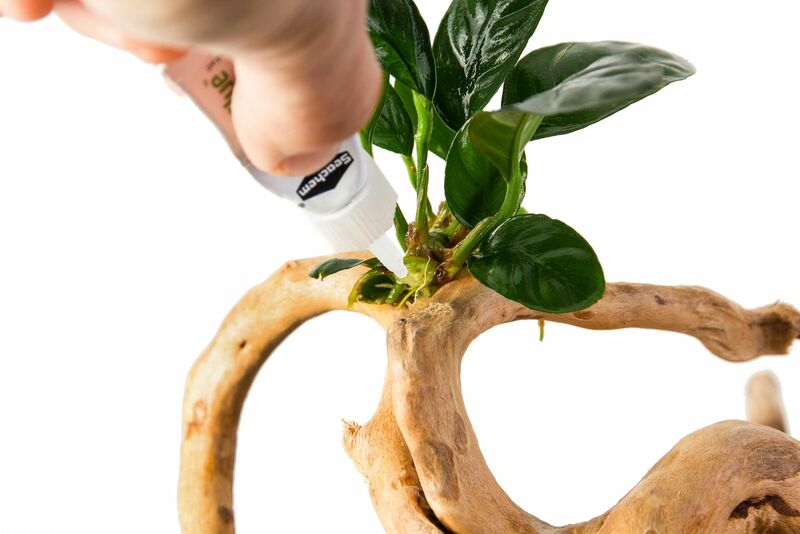 The substrate ought to be thoroughly moistened with a spray bottle before planting. 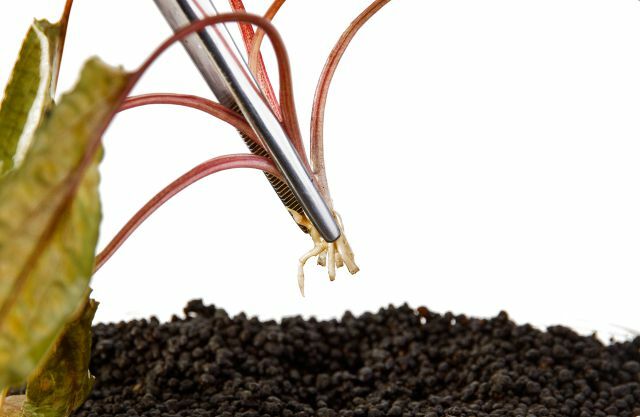 Wet substrate keeps together much better and prevents single grains from clinging to the fingers or the tweezers. 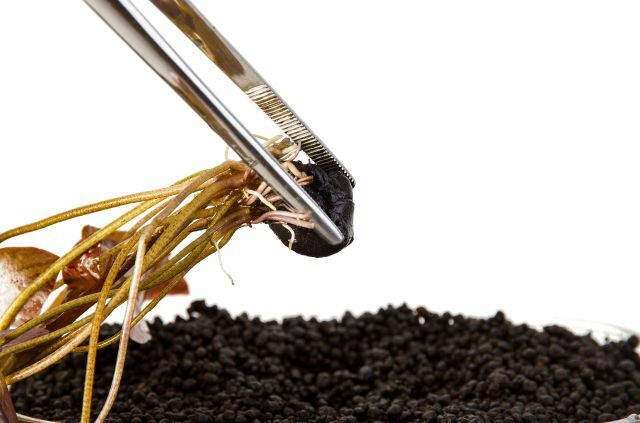 Insert the stems deeply into the soil. 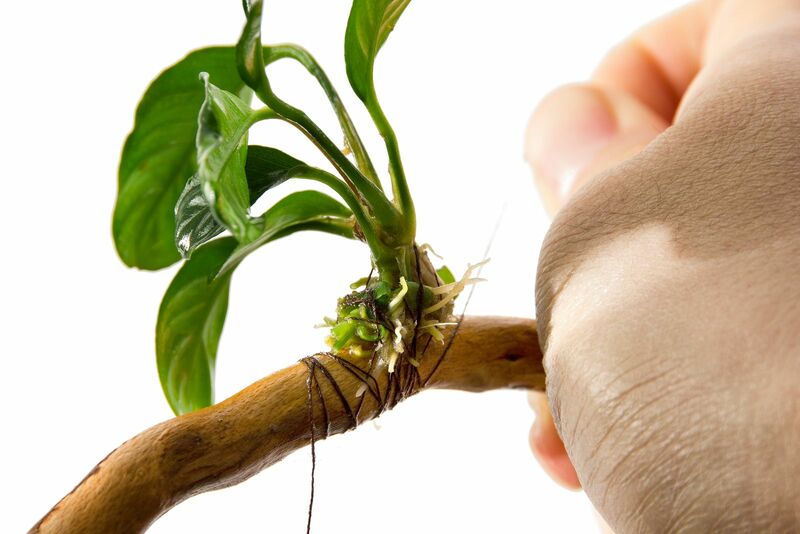 Tip: When planting stem plants with little or no roots, insert them in the substrate with a slight slant so the substrate weighs the stems down a bit and the buoyancy of the plants is reduced. 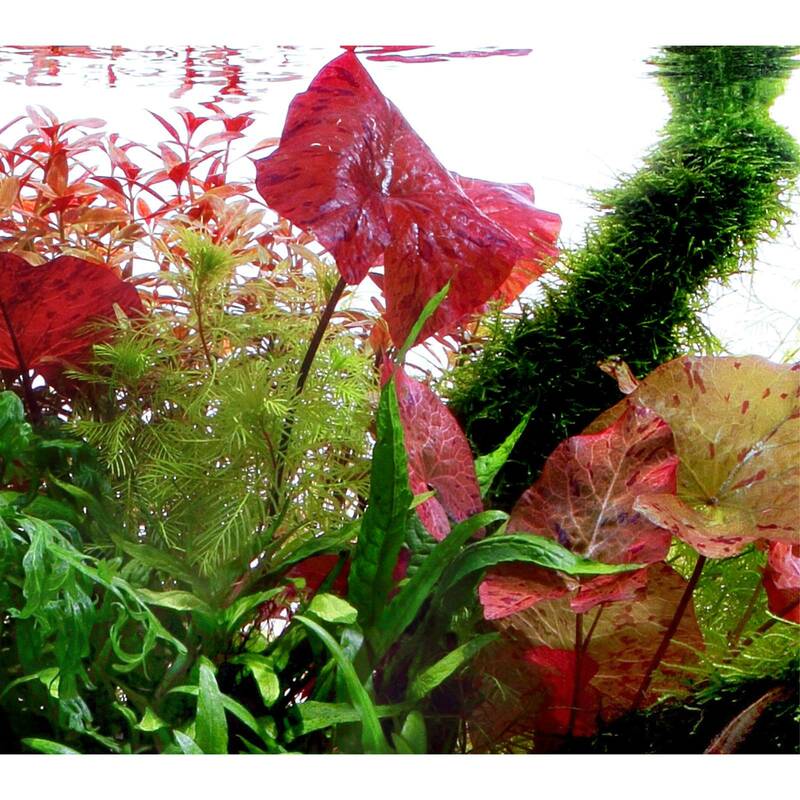 The plants in this group are also planted in the substrate the classic way. 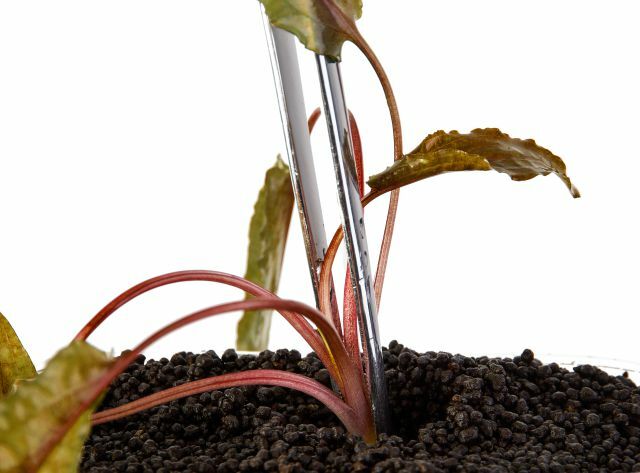 A somewhat coarser, well-sized pair of tweezers is quite helpful as you can easily grab a single rosette and insert it in the substrate. 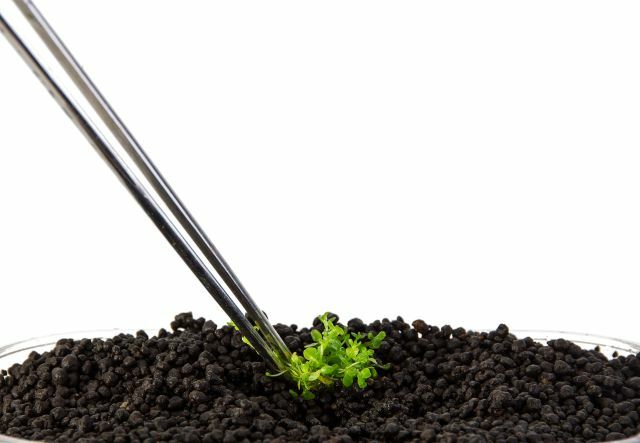 The various ground-covering plants are best planted with a somewhat finer pair of tweezers for planting. 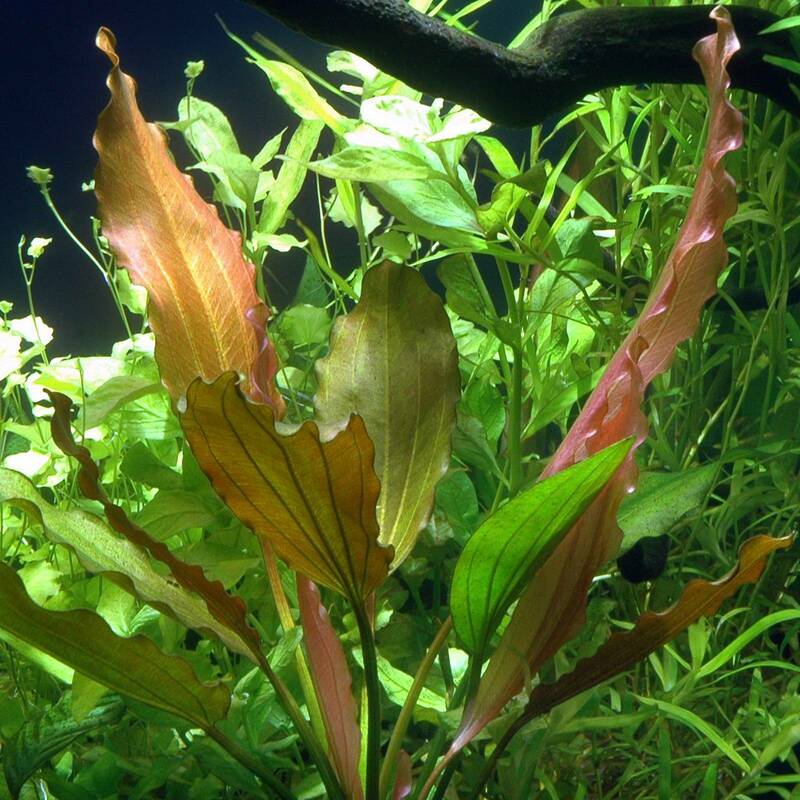 You should divide the standard portions into smaller pieces before planting. 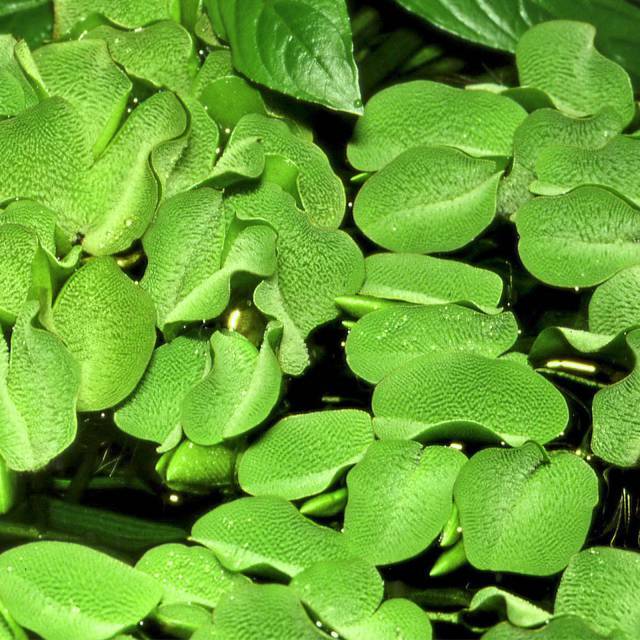 This makes planting so much easier and prevents the plants from floating to the surface. Plant the individual pieces carefully from the beginning to get a nice carpet. When this is done right it should not take long until the substrate is covered without gaps. Each portion ought to be planted at a distance of 3 to 4 cm from the next. 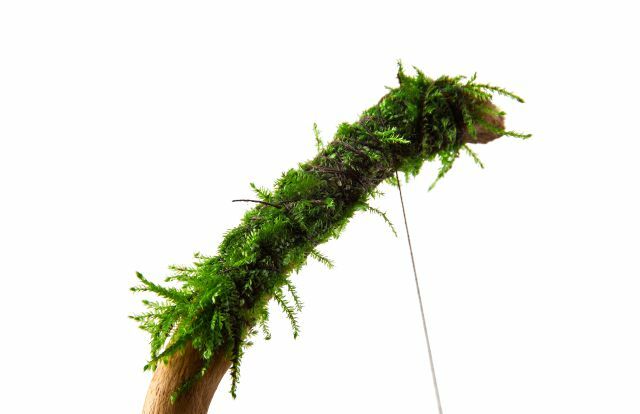 Basically, mosses are epiphytes, just like ferns. 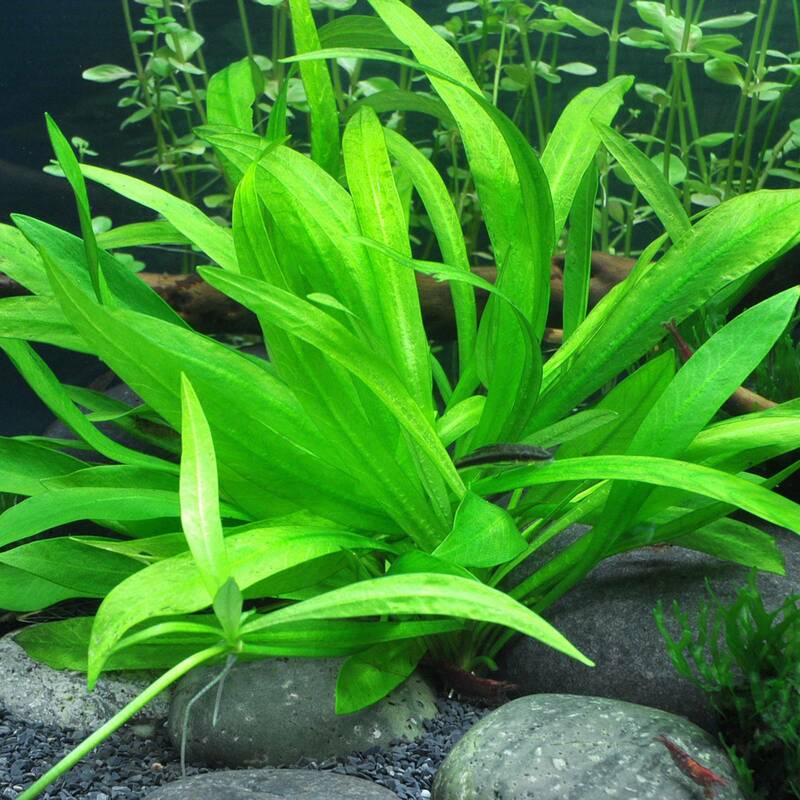 This means they are not planted in the substrate but take hold on decoration like rocks or pieces of driftwood. 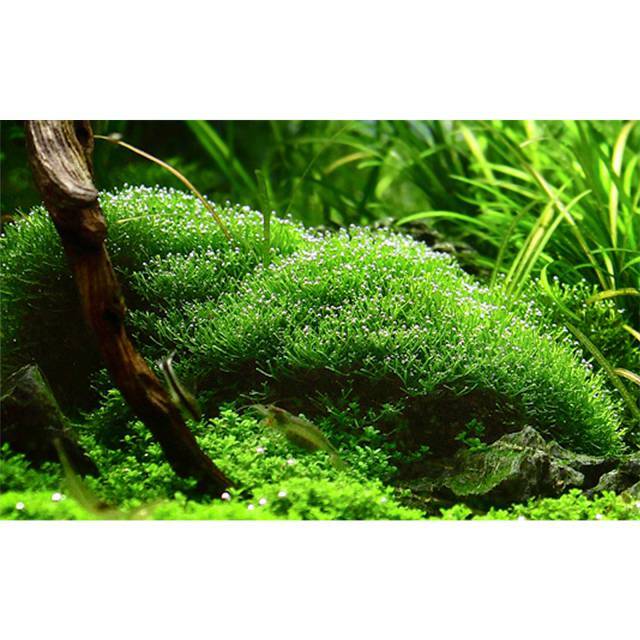 A planting glue is ideal for fixing mosses on these substrates. 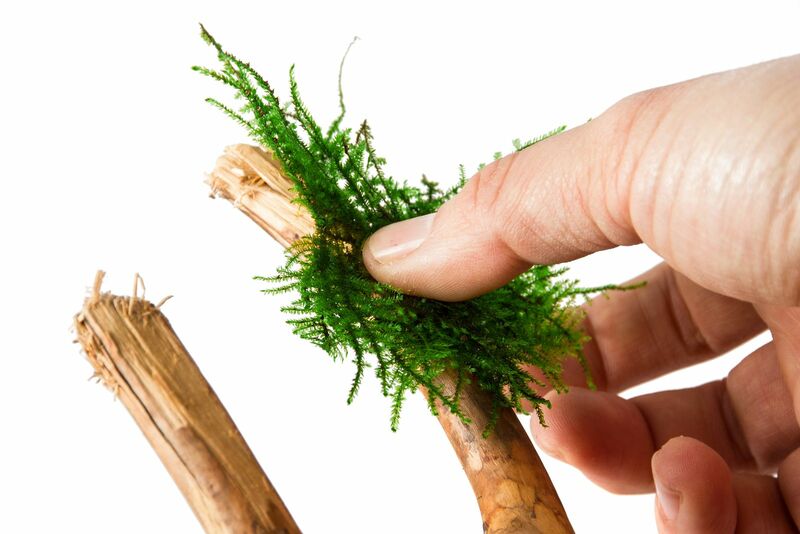 Alternatively, mosses can be attached to driftwood or pieces of rock with thread — this is the classical way. 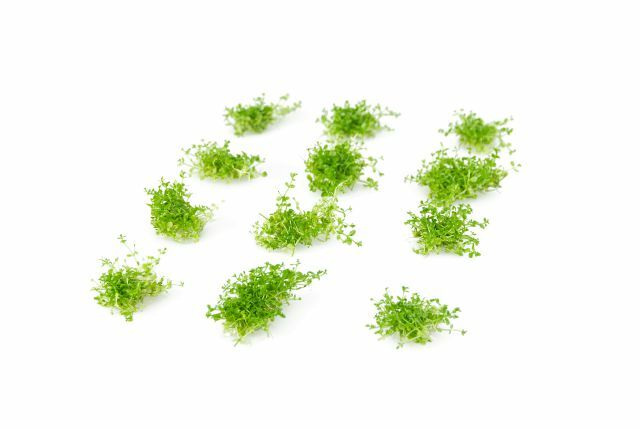 Often it is sufficient to stick the moss into gaps in the decoration. 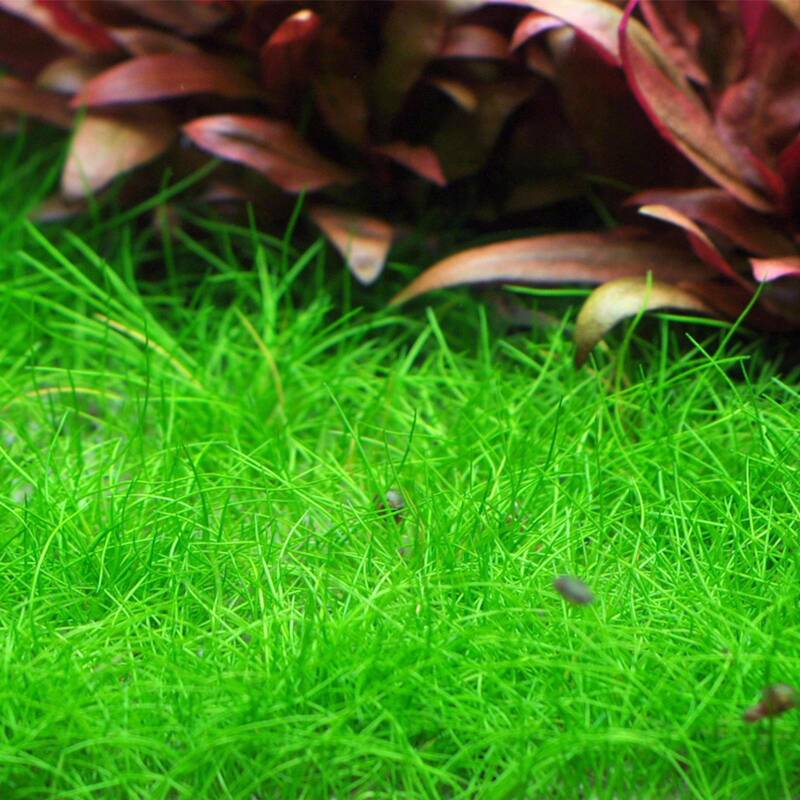 After some time, the moss will form new rhizoids and attach itself to the substrate with them. 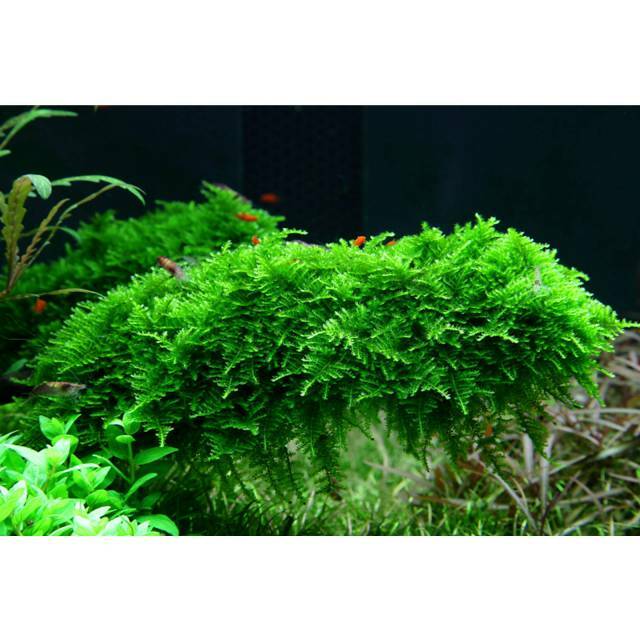 There are some exceptions like for example Weeping moss or Spiky moss, which do not grow rhizoids that cling to the substrate. 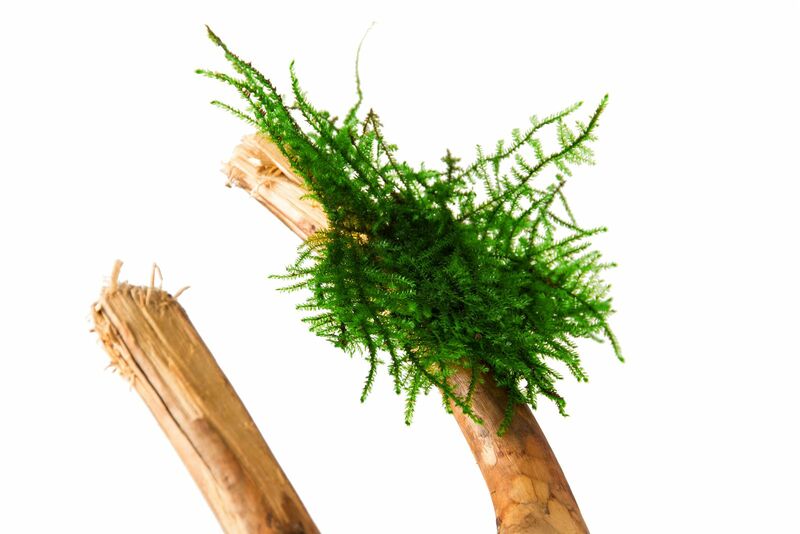 Those mosses need to be attached permanently, for example with thread that does not decompose, e.g. made of nylon. Floating plants are just placed on the water surface. 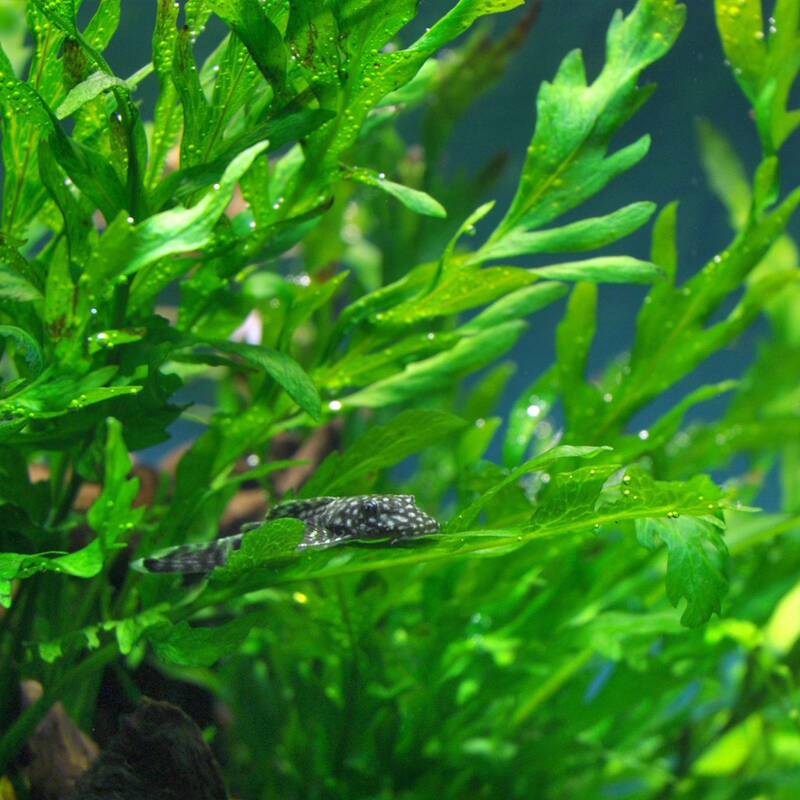 However, there is a special floating plant that plays in a league of its own: Riccia. 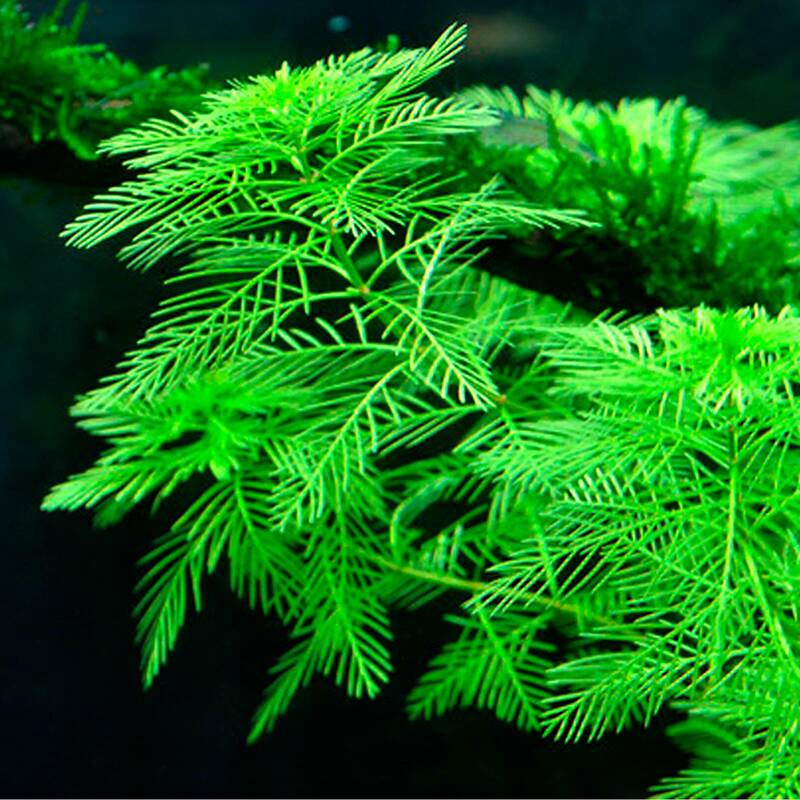 It is usually not used on the water surface in aquascaping and in the Nature Aquarium. 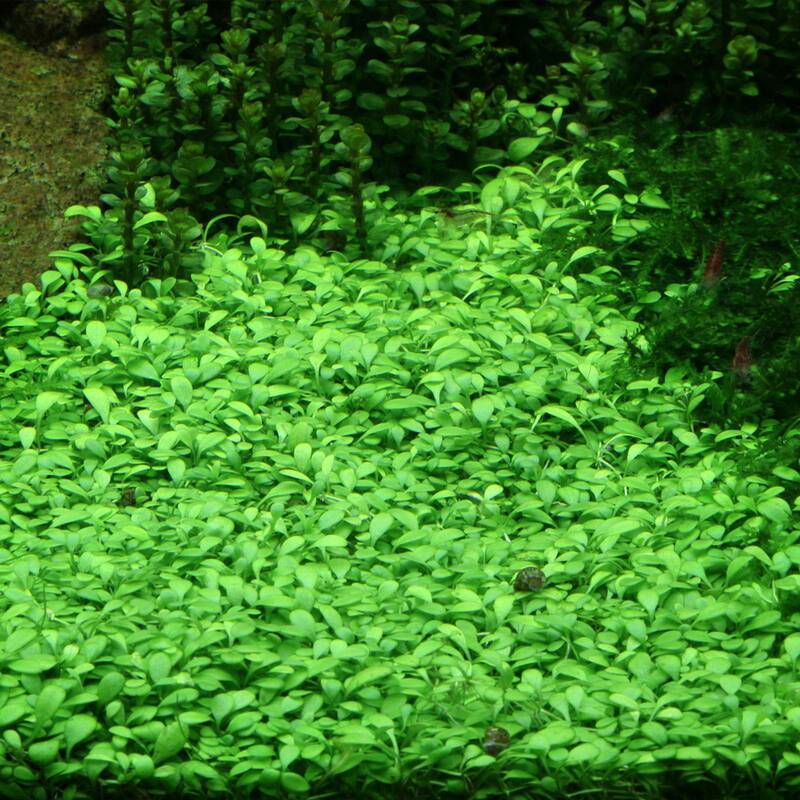 No other than Takashi Amano had the idea of using Riccia as a ground-covering plant by attaching it to small flat pieces of rock that kept it on the ground. This cultivation method is still seen very frequently. 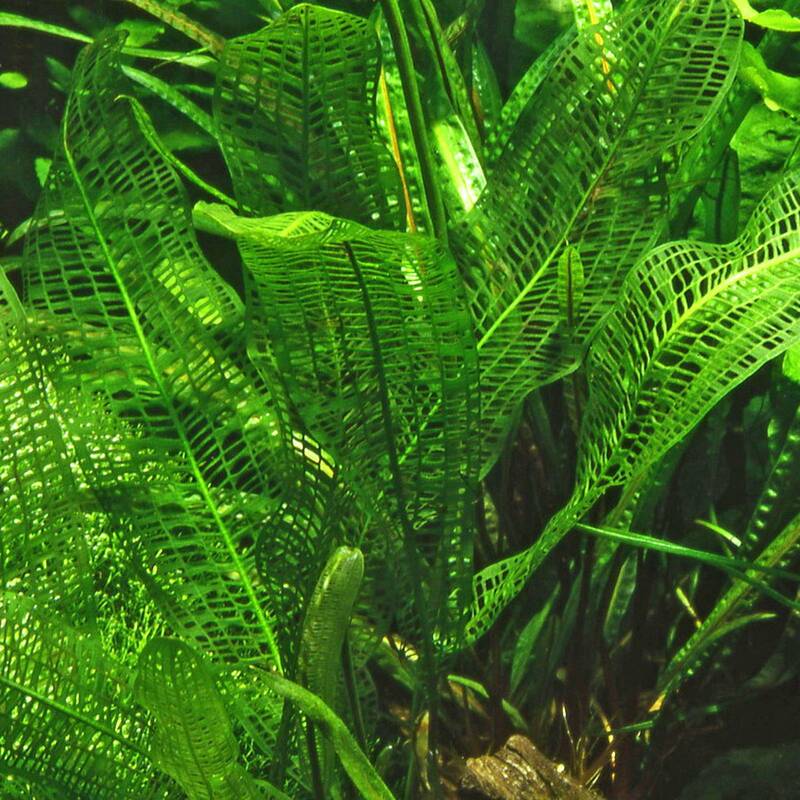 Please keep in mind that this plant has a strong buoyancy as it produces a lot of oxygen. 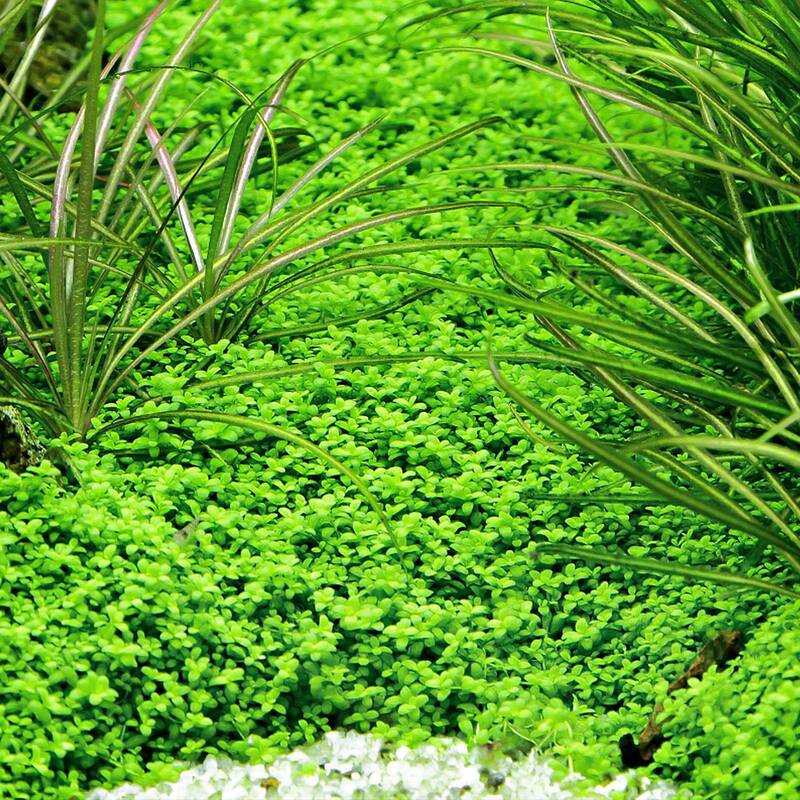 Make sure your Riccia cushions are always weighed down by a sufficiently large weight to keep them on the ground. It is quite helpful to trim the plant cushions at short intervals. Another trick to keep Riccia on the ground is to intersperse the population with other ground-covering plants like Glossostigma elatinoides that throw runners. 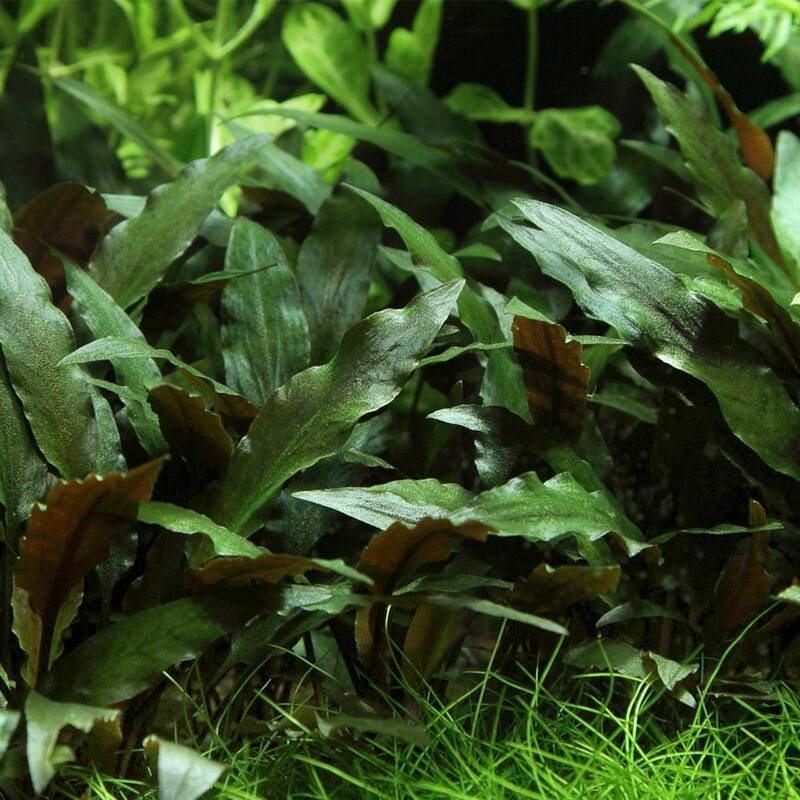 The roots of the runners help anchor the Riccia on the substrate. 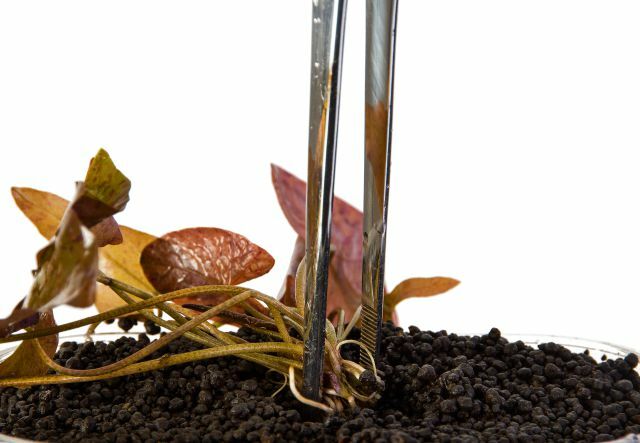 Unlike other plants, plants with tubers or bulbs should not be cut in pieces. 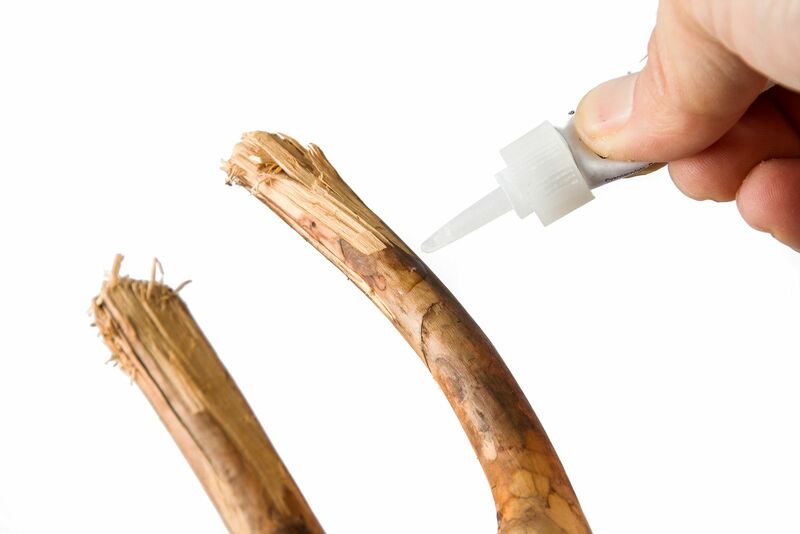 The bulb or tuber absolutely needs to remain intact. 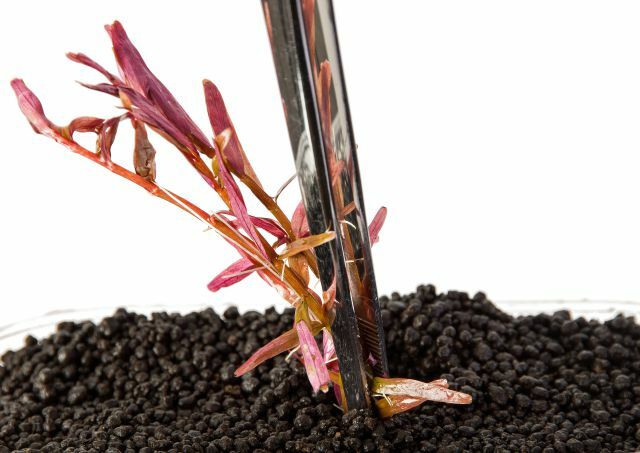 Plant into the substrate with a coarse pair of planting tweezers, and insert the bulb or tuber so far that only the shoots are visible. 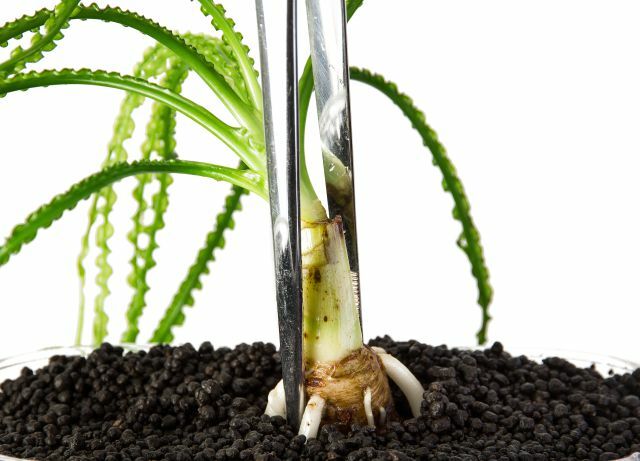 When you plant bulbous plants like Crinum, around half of the bulb should stick out of the substrate to prevent it from rotting.